Persian kitten breeders are everywhere in the world due to the world wide web (internet). However, finding a responsible, knowledgeable Persian cat breeder can take a little legwork. It is estimated that over 50% of kittens (and puppies) raised in the U.S. are raised by people who NEVER have another litter. A responsible breeder only sells to private individuals who want to provide their pet with a "forever home". We have all seen the television shows about the pet stores and where those kittens and puppies come from - puppy mills, kitten mills, and backyard breeders. This leaves a relatively small percentage of kittens that are being raised by experienced people who are dedicated to one or two breeds and raising kittens for reasons other than profit. How Do You Recognize a Responsible Persian Cat Breeder? When you contact a responsible Persian cat breeder to inquire about a Persian kitten, THEY will interview YOU, whether that is by personal interview or by the breeder asking you to fill out an application or questionnaire. will use a written contract that clearly sets forth their health guarantee, their responsibility and your responsibility for the kitten. This protects you and the breeder, but most importantly – the kitten! A good breeder will want to know that you can house and raise their kitten appropriately and that their kitten will have one permanent home for its entire lifetime. They will have a "no questions asked return policy" if for any reason you are unable to keep the kitten. This policy is sometimes referred to as a "First Right of Refusal". That policy will be clearly stated in the contract. See an example of a Health/Genetic Guarantee. breeds to the CFA (Cat Fanciers Association) (or another registry standard) Persian Breed Standard. The Cat Fanciers' Association is the world's oldest, largest, and most recognized registry organization. The Persian breed standard is in place so that a Persian breeder has something in mind each and every time he or she breeds their cats. In general, an adult Persian cat will weigh approximately 6-12 pounds. The CFA Persian cat breed standard (pdf file) - CFA Persian Breed Standard. will allow you to come to their home and let you meet them, their cats, and their kittens. They will be pleased that you were able to take the time to come to their home to meet with them. A good breeder has usually been around animals all of their life and has been showing and breeding for many years and has a great love for all animals. will be one that you will talk to and buy the kitten from directly, the same person who raised the litter and owns the mother ("queen" or "dam") and most often even the father ("sire" or "king"). will have had the kittens examined (a minimum of one time) by their veterinarian prior to the kitten going to their new home. will have done (or will have in their possession the documentation for a) DNA test for PKD1 on their breeding cats (such test will be done by a facility in the United States), usually by University of California at Davis as this is the facility that developed the test. PKD1 (polycystic kidney disease) is a life-threatening disease. To learn more about this disease, please read our article about PKD1. will usually only have one or two breeds of cats and ONLY specialize in 2 or 3 colors (i.e., bi-colors, tabbies, solids, etc.). The size and scope of a breeder's Breeding Program will correlate with the number of kittens they produce every year. will be actively involved in showing, doing rescue, etc. of Persian cats. This will be evidenced by photos, books, and awards of long-term interest and activity in the breed. The kittens' environment will be clean with ample room for play. This type of breeder will have gotten awards from showing their Persian cats and will display those awards and photos in their home. will not allow the kittens to be prematurely separated from their mother and littermates. A Persian kitten should remain with its littermates and mother until at least 12 weeks of age (sometimes older). will be there to help and advise you throughout the life of the kitten. will always have a spay/neuter agreement on their non-show or non-breeding quality kittens. 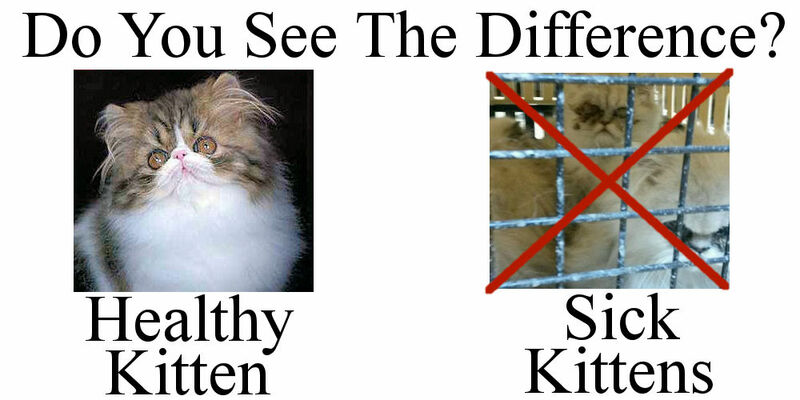 The breeding of Persian cats is a responsibility that should not be entered into lightly. The prevention of over-population and haphazard breeding is the responsibility of the person selling the kitten. will insist that you prepare an appropriate place at your home before you take your kitten home. A good breeder will give you thorough instructions on the feeding and care of the kitten, pedigree, supply of food, and a record of vaccination(s) and worming(s), which may be called a "kitten packet." For a list of what Pelaqita Persians' typically providers to our kitten buyers is our "Kitten Placement Packet". will always provide you with the registration paperwork at the time you pick up your kitten. Please note: Some breeders that sell kittens on a spay/neuter contract may withhold the registration paperwork until you can provide proof the kitten has been altered. Now that you know what a good breeder is, we know that you will be able to find that perfect Persian companion to cuddle up next to!! Please remember, whether you purchase a Persian kitten from us or not, we are always here to help and answer your questions – We love talking Persians! Learn more about the age for spay and neuter of kittens.